This Guide has been written to give you a general step-by-step overview of the property buying process. Please use the references and links within this article and at the end to find more detail about stages of the process. The French property-buying process is actually very straightforward and well-regulated. Every year many thousands of foreign buyers purchase in France without problems or complications. As with any property purchase there can be problems, but most of them are encountered because buyers have not understood properly what they need to do in advance and how the process works, especially if they don’t speak French. This guide and our site are here to give you independent advice. The most important issue to bear in mind is that the sale becomes binding much earlier in the process than in the UK. Therefore if you allow enough time during your viewing trip you can effectively secure a property you have seen on your trip and return to your home country knowing that no-one else can buy it – gazumping is not generally a problem. French properties are sold in a variety of ways: privately, via notaires (public notary) or via estate agents (immobiliers). The majority of overseas buyers in France buy via estate agents, as this is a more familiar process and you are more likely to encounter someone who speaks English. 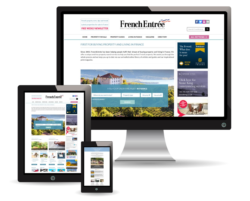 FrenchEntrée has carefully selected a number of estate agents throughout France, our Premier Partners, that will be happy to help you to find your dream property. Please feel free to contact us. When you choose an estate agent, make sure they are a member of a registered body such as FNAIM, SNPI or UNPI. This information should be visible somewhere in the office. Do not use an estate agent without visiting their office and viewing the setup – don’t just arrange to meet in a carpark somewhere. An agent will often ask you to sign a “Bon de visite” – this confirms to the vendor that they, the agent, are the ones who showed you a particular property. It prevents conflicts between agents! The prices displayed in a French estate agent’s window or on the internet should include the agent’s fees (anywhere between 4 and 10 per cent of the property price). The price should be followed by the letters FAI if this is the case. However, it does not usually include the notaire’s fee. When you are considering a property, always ask what the price quoted includes. Ask for an estimate of any additional fees and don’t forget to add on 19.6 per cent for VAT on any extra fees. Don’t be afraid to make an offer for a property just as you would in your home country. If you can find out how long the property has been for sale or the situation of the vendor you may get an idea of their willingness to accept less than the asking price. You can of course discuss this with the agent. Surveys are not usually undertaken in France, because the profession of surveyor does not exist in the same way that it does in Britain for example. If you are concerned about certain aspects of the structure of the property you are purchasing or renovation issues you could contact one of the growing number of English speaking surveyors working in France, see our FrenchEntrée Directory of surveyors in France, or you could arrange to visit the property with a local builder to get opinions and costings. If you intend to do this it is better to do it before you agree a price and sign any contract, especially if you anticipate doing a lot of renovation. If you need a survey, but do not have time to carry it out before you sign a contract, you should ask the notaire to include a “clause suspensive” in the Compromis de Vente to ensure that your purchase is subject to a satisfactory survey. (see below). For further information see our article on French property surveys. Before you sign anything make sure you see the plans of the property and its land (ask to see the cadastral plans from the agent or at the local mairie) – check that there are no private or communal plans to build other properties, office or agricultural buildings close to your house. For further advice, see our article on how to obtain planning permission. Once you find a property and agree a price, the actual contract process will be handled by a notaire as they are the only persons permitted by law to perform conveyancing in France. There are two key documents you will need to sign to buy a property in France. The Compromise de Vente and the Acte Authentique. See below. The notaire charges a fee – usually between 2 and 8 per cent of the ‘net’ property price (the cheaper the property, the higher the percentage). This may be included in the price if you buy via an estate agent. However, check that the fee is included – it’s better to be safe than sorry. The notaire is required by law to act impartially, and acts for both buyer and seller. This may seem strange to UK buyers but the vast majority of transactions in France are handled this way, by one notaire. The estate agent should be able to recommend a local notaire. If you feel unsure about this, you are entitled to appoint your own notaire. This will not cost you any more money, as the two notaires will split the fee between them, but it can be a less efficient way of handling the purchase. Additionally, if you wish, you can take independent legal advice in France or in the UK to help you with the purchase (e.g. from a non French solicitor) but you will be liable for their fees as well as the notaire’s fees. See our article on the role of the notaire for further information. Although you may find a notaire who speaks some English it is important to realise that the legal documents will be in French and often contain legal terms that will be unfamiliar. Some estate agents offer translations of the Compromis de Vente but this is not their primary role or responsibility. If you are uncertain about any aspects of the contract you can obtain a professional translation either within France or in your home country. Within France there exist officially registered translators qualified to translate legal documents. Ask the agent if they can recommend an independent translator or use the FrenchEntrée directory to find a French translator, and remember to add the translation fees on top. The compromis is usually the first document you will sign and sets out the main terms of the agreement between the buyer and the seller. Normally the buyer will pay a 10% deposit on signing the agreement, which is held by the notaire. The agreement has to be signed by both parties and is a legally binding agreement – the only “get out” is if one of the obligations in the conditional clauses is not met (see below). The Compromis will include a date when it is expected to sign the Acte Authentique (the main contract – see below). Note that this is not legally binding and is really used as a target date which both parties aim for. For the notaire to draw up the agreement you will need to provide your passport, marriage papers and divorce papers. If you’re borrowing money you will also need paperwork with details of the loan. See also our French legal processes for buying property in France FAQ. ‘Clauses suspensives’ permit you to withdraw from the purchase under certain circumstances so it important to give this some thought before you sign the Compromis de Vente. You can add any clauses you like to the contract (provided of course that the vendor is willing to accept them). If you are obtaining a mortgage the notaire will automatically include this fact as a conditional clause in the contract – this means if your mortgage provider turns you down or refuses to lend on the property you are not obliged to go ahead with the purchase. Other typical clauses you might include: ensuring that you are able to obtain planning permission, ensuring that certain works or repairs are carried out. You need to discuss these clauses very carefully with your agent and with the notaire at the time of making the offer. Many problematic purchases or disputes could have been avoided if the purchasers had introduced clauses to protect themselves at this stage. These reports are grouped together in a single report known as the DTT (Dossier de Diagnostic Technique)all required by law and it is the obligation of the vendor to commission and pay for up-to-date reports to be attached to the compromis de vente. The notaire will ensure that the law is complied with. Termite reports are dependent on the area of France. Property vendors with swimming pools are obliged to commission a report on the safety features of the pool. Once you have both signed the Compromis, you the buyer have a ten day cooling-off period. During this time, you can withdraw from the sale without incurring a penalty, but the seller cannot. Once the cooling-off period is over, the contract becomes binding on both parties. Therefore it is crucial that you do not sign the Compromis lightly. During this period, assuming you intend to go ahead, you will need to arrange transfer of funds to pay the deposit (in Euros). If you would like to buy euros please visit our Currency Zone. Your deposit is usually 10 per cent of the net purchase price. From this point on, if you withdraw from the sale, you could lose your deposit, unless it is for one of the reasons listed in your ‘clauses suspensives’. 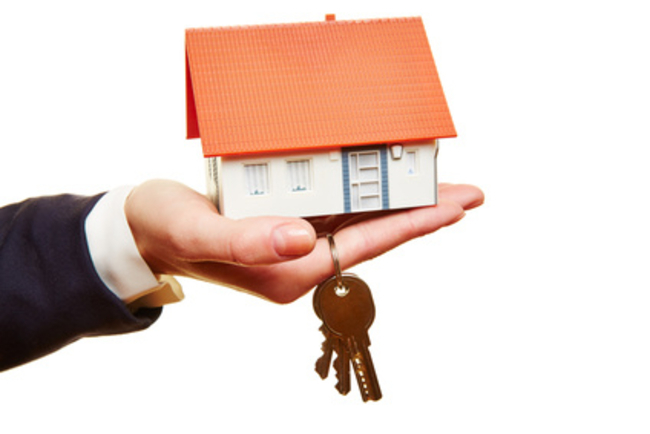 This article describes the buying process for resale properties. Leaseback and New Build properties may have different payment schedules and contract terms. For more information about French Mortgages, visit our mortgages on French property zone, where our FrenchEntrée Mortgage Brokers will be happy to help. Once the compromis is signed the notaire will begin the legal process including the searches on the property, including land registry rights to ownership, boundaries and rights of way. It is important to note that in France the searches do not include looking at any private planning permissions that may exist near your house. To ensure your neighbour is not about to build a new house next to your boundary visit the local Mairie and ask to see the “plan communale” (any recent planning application) or ask the agent to obtain this information. The whole process should take three or four months from making the offer to signing the final contract. Aside from the purchase contracts you may have concerns about your situation with regards to inheritance law, residency issues, income and capital gains tax or other legal and tax issues, in which case you may wish to consult an English speaking legal adviser who specialises in French property law. For further advice on French tax and French legal matters visit our zone. At some point your agent or the notaire will advise you of the proposed date to sign the full contract – the Acte Authentique or Acte de Vente. You should be present for the signing of the completion document if at all possible. If you aren’t able to attend, you can arrange a power of attorney. Arrange to view the property on the day of the signing. The final contract has a clause saying ‘sold as seen on signing date’, so you need to know that the property is exactly as you expect it to be, and not with floors, walls or windows missing! You need to plan ahead in order to transfer the balance of your payment to the notaire’s account in plenty of time for the signing date. The house will not become yours until all the funds required (including mortgage funds) for the house purchase and all associated fees have been sent to the notaires bank account. Our Currency Zone has practical advice and tips on buying euros. Once you have signed the contract, retire to the nearest bar and enjoy a glass of champagne! If you are buying a gite complex or another property for investment purposes such as a buy-to-let in France, please visit our French investment property zone. 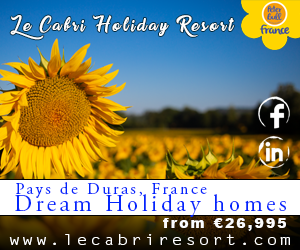 We have lots of information about owning a holiday homes in France. Search our FrenchEntrée property database to find your perfect French home for sale. This guide is provided for general information purposes only and is not intended to be a substitute for professional advice regarding any aspect of purchasing a French property. If in doubt you should consult your estate agent, legal or tax adviser. FrenchEntrée cannot be held responsible for the consequences of decisions or actions you may choose to take in connections with viewings trips or a property purchase.